It’s no secret I’m back in Los Angeles, planning my next big adventure. 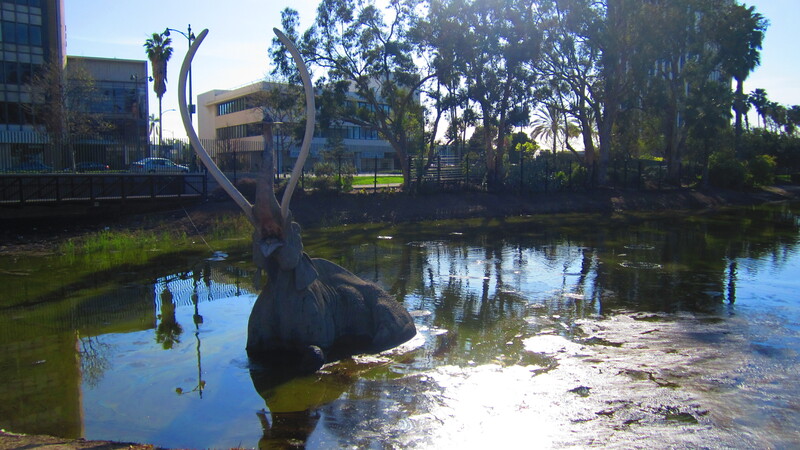 What better way to recover from jet-lag thatn visiting an LA wonder, the La Brea Tar Pits at Hancock Park? After all, it is a National Natural Landmark. I had this vision in my head that we’d be sinking in like quicksand, fighting for our lives against the relentless gooey stuff, but nothing of the sort happened. The area has been fenced off to keep animals and humans from falling in and getting killed. Damn, no risk of death? Still a fantastic way to spend a day. 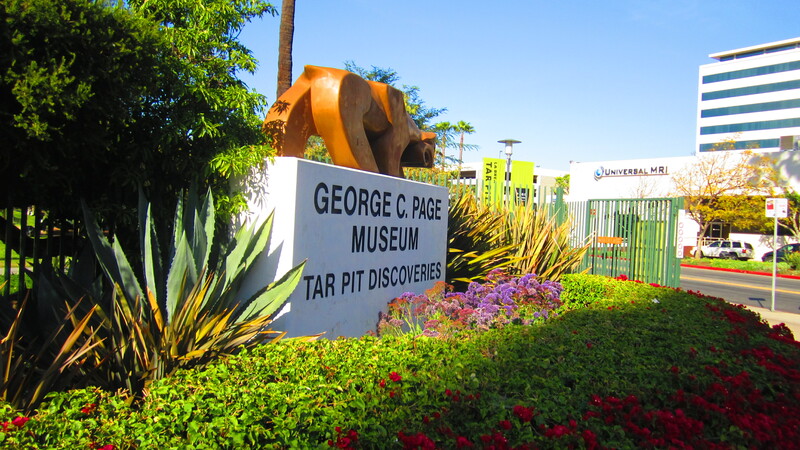 Right next to the George C. Page Museum (which studies and displays animals that have died at the pit), the La Brea Tar Pits are comprised of of crude oil that seeps up from the 6th Street Fault from the Salt Lake Oil Field. 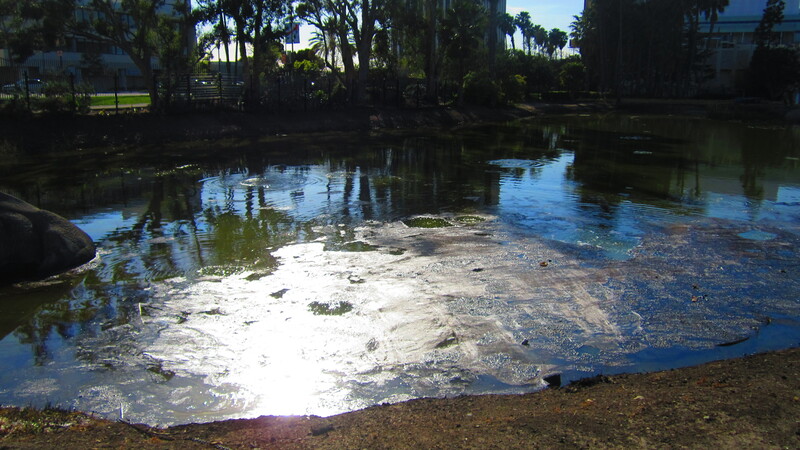 The oil reaches the surface, bubbling and eventually becoming asphalt, sometimes trapping animals. Observe the trapped Woollymammoth. Notice the asphalt forming at the top. The smell almost transports you to sitting in traffic while a highway is being paved. Apparently the asphalt works to preserve animals fossils quite nicely. If you take a walk around and observe the different pits, you’ll notice only Pit 91 is still open for live fossil escavations. Talk about a killer Sunday.